Can Vitamin D cause idiopathic edema to mysteriously go away? In 2005 while in Maui, I woke up on the 3rd day and felt awful, as I got up I felt like I was standing on water balloons! I couldn't' get my rings off, it hurt to walk, and although we had 7 more glorious days to spend there I couldn't stand to go outside...I was so hot (not due to the weather, it was beautiful over there) but I was miserable. When we returned (btw, I had to be taken on board the plane in a wheel chair, something I never thought I'd ever be in) we went straight to my Internal Medicine doctor's office upon landing. He had just seen me 4 days prior and he couldn't believe how swollen I was. He was sure I might have COPD...I was sent to every specialist and all tests came back inconclusive. For the last 5 years I've been seeing so many different specialists and they all have been scratching their heads. A couple thought I had Lupus, others thought I had rheumatoid arthritis, other's thought it might be the pain medication I've been on due to RSD (Reflex Sympathetic Dystrophy after being smashed by a guy in a truck after my 7th back surgery...but still no conclusive answers. Vit. D supplements (prescription) plus 1,000 units every day forever. He gave me enough of the 50,000 units of the Vit. D pills to last 6 weeks.......(six pills) in 6 weeks I noticed my shorts were literally falling off on me. My face was no longer puffy...when you push a finger into my skin it no longer left a "hole" where the finger pressure was. I'm done with the 50,000 units but still on the 1,000 units of Vit. D and will forever continue on it. My entire family has noticed how all the puffiness is almost gone. I'm afraid to think this "Full Body Edema unknown etiology" is gone bcuz I think it will all come on again!!! So my question to you is have you ever heard of Vitamin D being used or other patients stating their edema has gone away while taking prescription Vitamin D pills? I'm not sure why I'm getting it by prescription rather than over the counter, but my insurance oompany has no problem paying for this type of prescription Vit. D.
Please tell me that Vitamin D is known to take off edema. I want to ask my doctor if I can go back on the 50,ooo units for a short while to get all this edema off of me. I've always been very thin until this strange unknown full body edema happened to me in a matter of days. I've always been 119 lbs. and in a week I put 20 lbs. on in a week and was begging my doctor to stop me from blowing up!!!!! Please reply asap. I want to discuss this with my doctor right away. But I need to have some information to back me up. Comments for Can Vitamin D cause idiopathic edema to mysteriously go away? While I'm not going to tell you that vitamin d is 'known' to get rid of edema, I'll tell you that the edema and all of the other bad things that were happening were probably happening because you were practically dead from a vitamin deficiency. If you read any accounts of old time round the world sailors, they commonly had entire ships full of men die from vitamin c deficiency scurvy. If you read my page on Heart Failure from Selenium Deficiency, people in areas with low selenium used to die all the time from selenium deficiency. People in third world countries die from thiamine deficiency, a condition called Beri Beri. 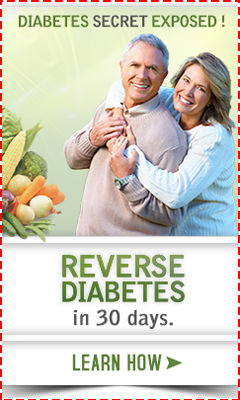 People die of heart conduction problems from magnesium deficiency or potassium deficiency all the time. YOU had NO vitamin D in your blood and were dying of vitamin d deficiency. But since we have fortified milk products, we usually don't see people die of it- so your condition showed us how it might happen!! Yipes!! So, I'm EXTREMELY happy that your doctor found out about your vitamin d deficiency. But he's being WAY too conservative. 6 weeks of 50,000 IU's a week is WAY WAY too low and is only likely to bring you from 'almost dead' to 'severely deficient'. You'll need MUCH more than that. 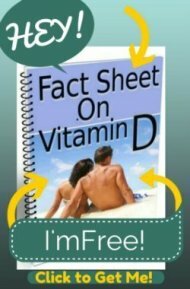 So please read my pages on Vitamin D Deficiency Treatment and Vitamin D Levels. Despite what your lab report says, you do NOT want your level to be 'normal', you want it to be 'optimal' as on the page that I referred you to. You'll still be FAR FAR from that. In any case, a maintenance dose for an adult is NOT 1000 IU's. Please read my page on Vitamin D Requirements to see what your maintenance dose SHOULD be- it's closer to 5000 IU's than 1000 IU's!! Are over the counter Vitamins the same as prescription? If I wanted to increase my Vitamin D daily amount, since I'm already taking prescription Vitamin D but only 1,000 units, could I supplement that amount with over the counter Vitamin D tablets? I'm not asking for a diagnosis, just asking if over the counter vitamins are the same quality as those that are prescribed. I assume that this is Cathy? You didn't leave your name. I have never heard of 'prescription' vitamin d that was only 1000 IU's, but in any case, NO, over-the-counter and prescription vitamin d are NOT the same- Over the counter is BETTER. Yes, both the 50,000 iu's and the 1,000 iu's of Vitamin D that was given to me were prescribed. I was told that the deficiency was so low that over the counter Vit. D could not get into my system as fast as the prescribed ones. When I went to refill the 1,000 iu's I thought my ins. co. would say I needed to get it over the couuter, but the pharmacist said that I required the prescribed "kind" and it was cheaper for me due to the discount I'm given...go figure. But this is all very true. And I'm really worried that I should be on a higher dose with all the things wrong with me. I hate to write it all out for everyone to see but just a Vit. deficiency and RSD are not the only thing attacking this body. I've seen every specialist under the sun. They ALL say they can see what all the other doctors see in the lab results and MRI's etc. They just don't have a clue why all this is happening. I wish there was a way I could text you a picture of the ulcer/lesion/bite (whatever) the doctors are totally stumped as to what these are...they are 3 now...and I've suffered from them since May 22 (I remember the date because my husband left for a trip the day I saw the first "bite" ). Anyway, the last specialist said the cultures were inconclusive most likely because they were so old...and once these heal, if I get another one he will biopsy it asap. My dr also put me on 50,000 units of vitamin d. At the time I was miserable with edema that had only recently started but was getting worse every day. He said that I actually was in the low normal range but thought this would help. I felt it was a miracle. all the edema went away. But after 3 days it came back. He had me on 1 pill a week. When I told him he put me on 2 pills a week. This was perfect. After 2 months he changed me to 1 pill a month. I was good for about 2 and a half weeks. Then it started all over again. I stared (on my own) taking vit d supplements. I tried 1,000 but it didnt work so I went to 2,000. I was a little better. Eventually I worked up to 4,000 a day. Felt great, except it gives me very loud, and foul smelly gas! Dont know what to do now. Hve been looking all over the internet to find a connection between edema and vitamin d and this is the first place I found a connection. For your smelly gas that you are getting from the vitamin D, it's not from the 'Vitamin D' it's almost certainly from poor quality and/or rancid oil that is in your pills. Stop taking pills that have ANY oil in them, as many many of them have rancid oils that have been sitting around for possibly years before going into your pills- and the types of oils that they use are poor quality as well. Get yourself a HIGH quality DRY Vitamin D Supplement that is made without oil at all. There is no reason for you to have loud smelly gas from the vitamin d.
Your words were very inspiring. 4 years ago, unexpectely I started having full body edema and experiencing pain and fatigue due to the swelling. My blood test showed that I was also deficient in vitamin D.
I started taking over the counter vitamin D pills (3-5000 units per day) and have been now taking it for the last 9 months. I am much better: most o my clothes fit, have hardly any pain and fatigue but I still have some swelling episodes (average twice a week). In your experience, did the swelling disappeared entirely? Are you completely recovered? Thank you so much for your time and for sharing your story. yeah, I too was finding any Correlation between the two but nowhere on the net I found it except here. Even here it was explained in some unrelated way to some other person who found Edima after taking Vitamin D pills. Most people here mention recovery from Edima after starting Vitamin D, but like another one here I found Edima around my ankles after taking Vitamin D.
I took 60000 IU pills after finding my Blood levels around 17 and then took same pills on two alternative days and found Edima on my left ankle along with constipation. I do walk, cycle etc and nothing else in my routine changes. Yesterday I again took a pill after 5 days and again found both problems. But it is just in the ankles that too more profound in left one. I have recently had swelling in my hands when I got up in the morning. It would go down somewhat as the day went on. I have been diagnosed with low Vitamin D. I have been treated for a while for that problem. The other day I noticed that the swelling in my hands has totally disappeared. I had forgotten what my hands actually looked like before the swelling. My Vitamin D levels are back to normal. There has to be a connection. After taking large doses of Vit D for a deficiency the swelling of my hands and feet disappeared. As a result of a medical problem, it resulted in me unknowingly to lose Vitamin D, I discovered the deficiency after a blood test. I was having problems with hand swelling at the time that I didn't realize was related. After treatment to raise the Vitamin D level to normal numbers, the hand swelling disappeared completely. I realized what caused it, which was confirmed by my physician. Is there any connection with face swelling, tongue swelling ,lip swelling, and vitamin D. Please help. Kerri's note: it sounds like an allergic reaction.